Halsey occupies a unique position in classical music. He is the trusted advisor on choral singing to the world’s greatest conductors, orchestras and choruses, and also an ambassador for choral singing to amateurs of every age, ability and background. Making singing a central part of the world-class institutions with which he is associated, he has been instrumental in changing the level of symphonic singing across Europe. Born in London, Simon Halsey sang in the choirs of New College, Oxford, and of King’s College, Cambridge and studied conducting at the Royal College of Music in London. Born in 1973 in Cervera (Lleida), Xavier Puig began his musical studies with the piano and violin at the Municipal Conservatory in his native town, broadening his musical education at the Professional Conservatory of Badalona and earning the teaching qualification for Harmony, Counterpoint, Composition and Instrumentation under the tutelage of M.A. Hurtado, M. Roger, B. Casablancas and J. Soler. At the same time he began studying conducting with the International Course of Choir Direction in Lleida, where he learned from the maestros Josep Prats, Johan Duijck, Laszlo Heltay and Jordi Casas (1990-1994). He continued his training as a choir director with the European Conducting Courses taught by Pierre Cao in Catalonia (1996-1998) and at the Pontarlier International Academy in France (1997-1998). 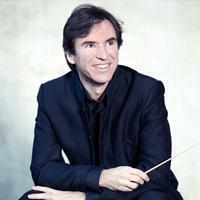 He began orchestral conducting with maestro Salvador Mas at the Barcelona Conservatory and in 1999 he was accepted into Vienna’s University of Music and Performing Arts, where he completed his orchestral conducting studies with Leopold Hager. In March 2002 he won the contest for the position of Assistant Director of Spain’s National Youth Orchestra (JONDE), also earning the Assistant Director post of the Barcelona Symphonic and Catalonia National Orchestra (OBC) in July 2003, with whom he conducted various concerts featuring works by Mozart, Tchaikovsky and Britten. In 2018 he was appointed Conductor of the Vallès Symphonic Orchestra and Principal Director of the Cor de Cambra of the Palau de la Música Catalana. 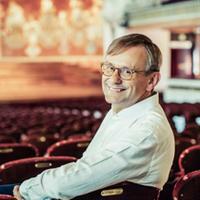 He also directs the Girona Orchestra and the Enric Granados Auditorium Chamber Choir in Lleida. For 25 years he has directed the Retama Choir of Cervera and the Arrayán Ensemble, dedicated to performing music from the 20th century. In the field of opera, he founded the chamber music company Òpera de Tres Rals, dedicated to small format opera, and he currently directs different concerts in the Òpera a Palau cycle. He has been guest conductor for numerous orchestras around Spain and maintains a close relationship with the Terrassa 48 Orchestra, with whom he will begin a comprehensive interpretation of Beethoven’s symphonies. 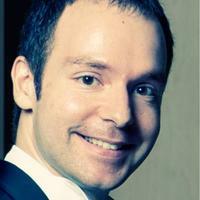 Xavier teaches Orchestra and Conducting at the Catalonia Higher School of Music (ESMUC). He has been guest conductor for several youth orchestras and he now directs the Conducting Course for the Terrassa Orchestra. He has filmed the work of Catalan composers and various educational programmes for Catalonia’s TV3. He was artistic director for the first six editions of the Cervera Easter Festival, dedicated to Catalan classical music, which he founded in 2011. Born in Prats de Lluçanès in Barcelona province, he began his piano studies with Vicenç Prunés at the Escolania de Montserrat, where he also studied the violin and organ. He then continued his piano studies with Albert Attenelle and studied chamber music with Jordi Mora at the Escola de Música de Barcelona. In 1994 he earned a diploma in Recital from the Guidhall School of Music and Drama in London and in 1996 he completed his studies at the Conservatori Professional de Música de Tarragona, earning first prize. He then moved to a Freiburg to study with Vitali Berzon. He gained outstanding results in the national competitions in Madrid, Vilafranca del Penedès, Berga and Carlet. He has performed as a piano accompanist at the Grec Festival and Maig Coral in Barcelona, in the Cambra Coral and Concerts de Tarda series at the Palau de la Música Catalana and at the Auditori and the Liceu. He has also performed in the Josep Carreres auditorium in Vila-seca, the Enric Granados auditorium in Lleida and in Manresa, Tarragona and other towns around Catalonia. He took part in the 20th Ciclo Música y Teatro at the royal monastery of San Lorenzo de El Escorial, in the 21st Ciclo de Música Clásica in Penyíscola and in the Cicle de Concerts dels Jardins de Can March in Mallorca. Outside Spain he has performed in France, Estonia and Guatemala. He has acted as piano accompanist for flute classes given by Magdalena Martínez and singing classes with M. Dayme and R. Smith, among others, in Barcelona and Tortosa, as well as at the Curs Internacional de Dènia, the Festival de Música de Tarragona and the Curs Internacional d’Interpretació Històrica de la Música run by the Fundació la Caixa. He has been a repertoire pianist at the Escola Superior de Música de Catalunya. He has recorded for Catalunya Música and Ràdio 4, and made a CD of the choral and piano compositions of Cristòfor Taltabull. He works in chamber music with several ensembles and performs in recitals with singers. He also teaches the piano and chamber music at the Escola de Música de Barcelona. Since 1996 he is the pianist for the Cor de Cambra of the Palau de la Música Catalana.